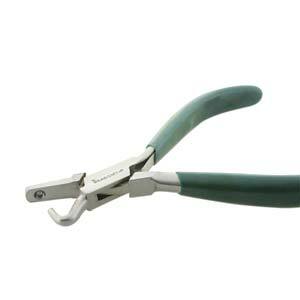 "Dimple pliers are used to create decorative circular indents and/or domes in soft metal. • Create decorative circular indents and domes in metal • Make partial indents to create scalloped edges. Green grip, 5.5 inches long."